Inventive uses for NFC technology are starting to come out of the woodwork, and Fraunhofer Institute for Secure Information Technology (SIT) has provided an interesting take on the house key. 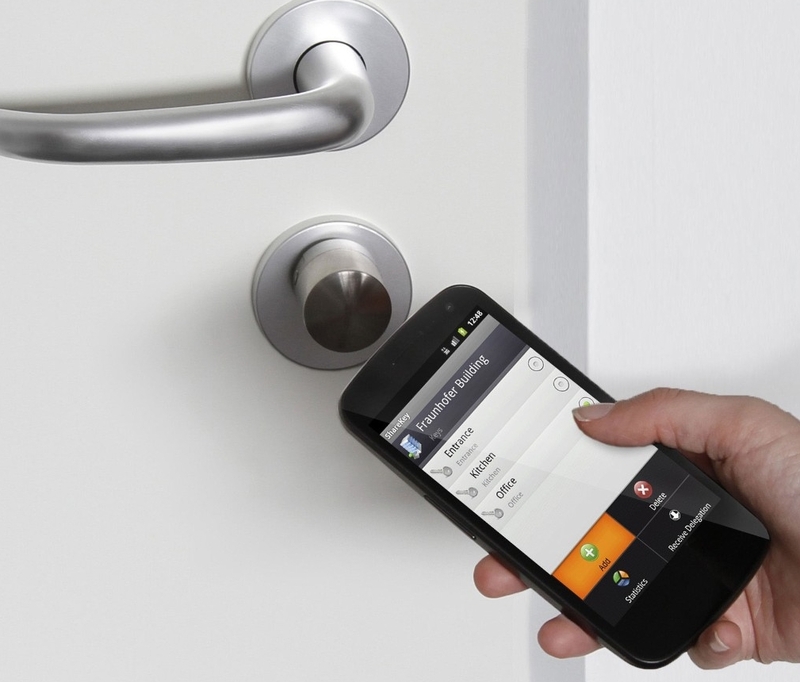 A GizMag report reveals that SIT’s ShareKey app uses NFC to enable physical access to your front door. Similar apps have been developed in the past using Wi-Fi and Bluetooth technologies, but the ShareKey app uses NFC. The folks at Fraunhofer feel that the key ring is quickly going the way of the Dodo and will someday be left behind like the PDA and Walkman. ShareKey is an Android app that uses NFC to communicate with smart door locks enabling access by simply waving the phone near the lock. The solution could someday be ported as an iOS app for iPhone users, provided Apple outfits the next iPhone with an NFC chip. Unlike previous apps of its kind that used Wi-Fi and Bluetooth, ShareKey requires the phone to be much closer to the lock in order to work, making it harder for hackers to intercept a signal. The system also makes it easy to assign or revoke access to smart doors in a simple and flexible manner. Any smartphone can be granted access to a door or group of doors for a set period— for example, giving houseguests access for a week or temporary employees access during work hours. The ShareKey system is not yet mainstream, but the keyless door lock hardware is currently available for purchase and are priced at $150-200 per lock.